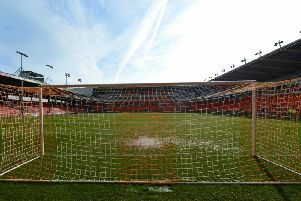 Why are Blackpool Football Club being threatened with a 12-point deduction? The EFL will today decide whether or not Blackpool FC should be punished for going into receivership - but why are they facing the threat? Why are Blackpool FC being threatened with a points deduction? Under EFL rules, the appointment of a court receiver is deemed ‘an insolvency event’, in the same way administration is, and carries the threat of a 12-point deduction. The appointment of the receiver was approved by the High Court in February to discharge the football club and its related assets to recoup the £25m Owen Oyston still owes Valeri Belokon. Oyston and his daughter Natalie Christopher were subsequently removed from their roles on the board, paving the way for thousands of fans to lift their boycott. 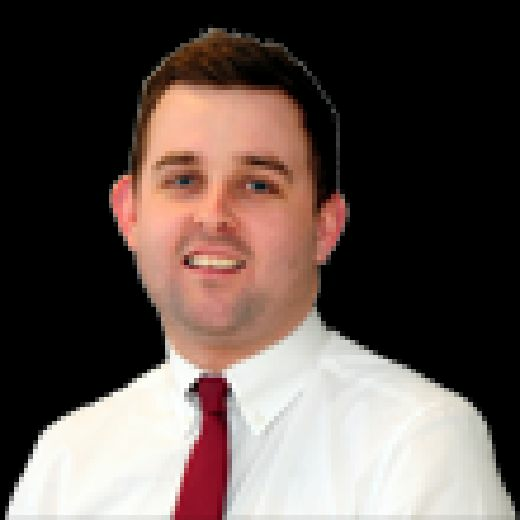 What options do the EFL have? It's understood the EFL has three options. These are; to punish the club and dock 12 points; not to apply the deduction or; to register the punishment only to suspend it for 12 months. This final option would give the new owners the chance to prove they can run the club in a sustainable fashion and demonstrate players and staff will continue to be paid and fixtures will be fulfilled. If applied, will the points be docked this season or next season? If applied, where would it leave Blackpool in the league table? 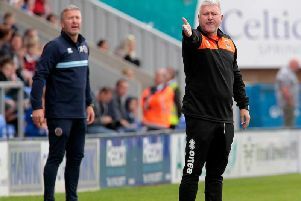 It would take Blackpool from 58 points to 46, which would leave them in 15th place in League One and just three points above the relegation zone with five games of the season remaining. The EFL has been unable to confirm what time a decision is likely to be made today, but the board usually meets late lunchtime/early afternoon. It must be remembered the EFL have a lot of issues to consider and not just Blackpool, with clubs such as Bolton Wanderers and Coventry City also high on their agenda, amongst others. The last time the EFL met to discuss Blackpool’s situation, an announcement wasn’t made until 6pm. What have Blackpool FC said? The club remain hopeful the points won’t be docked but acknowledge they can never second-guess what the EFL will decide. The club’s new board has had to provide the required financial forecasts to demonstrate players and staff will continue to be paid and the club is able to fulfil its remaining fixtures. A spokesperson said last month: "The club remains confident that the financial information and projections submitted to the EFL show that the club is self-sufficient. The club now awaits the decision of the EFL board and is hopeful of a positive conclusion to the matter." What have the EFL said? While the club going into receivership is regarded as an insolvency event, EFL chief executive Shaun Harvey has admitted the decision is down to their discretion. In an open letter written in February, Harvey - who is due to leave the organisation at the end of the current season - claimed it is their priority to create "stability" at Blackpool. He went on to say it is not mandatory to apply the 12-point deduction, but added the circumstances surrounding the appointment of the receiver needed to be fully considered before a decision is made. What have the fans said?